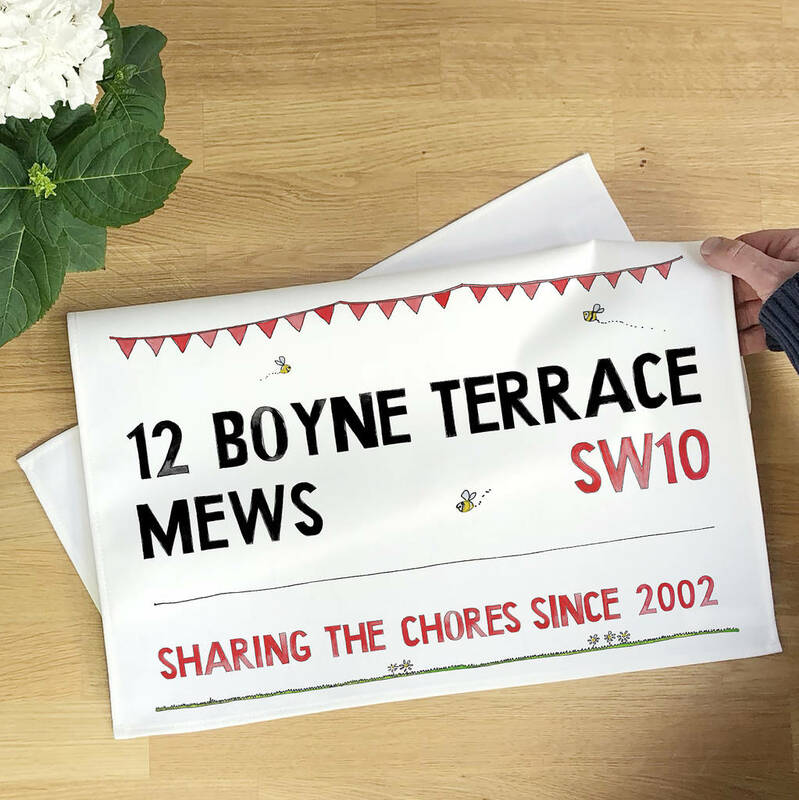 You'll love helping to dry-up on with our beautiful 100% personalised Street Sign Family Tea Towel, complete with a Nessie twist. 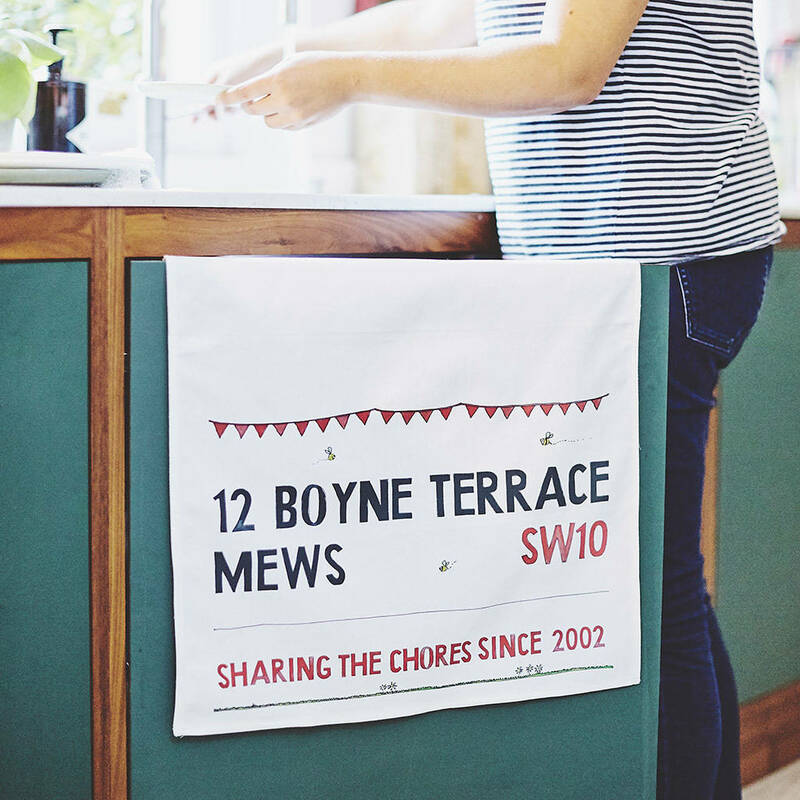 Create your very own tea towels especially for your home. 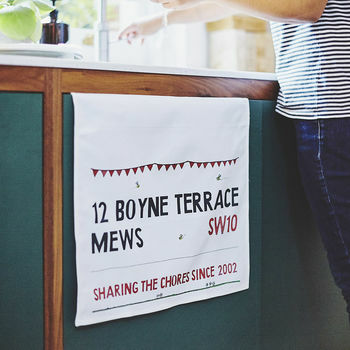 Personalise with the name of the street you live in and the postcode or get totally creative and put whatever you want in place of these lines of text - a unique and practical piece of family art that's sure to brighten up any kitchen. A great gift for Mum, Dad, Granny, Grandpa, Aunty Gertrude or Uncle Geoff! 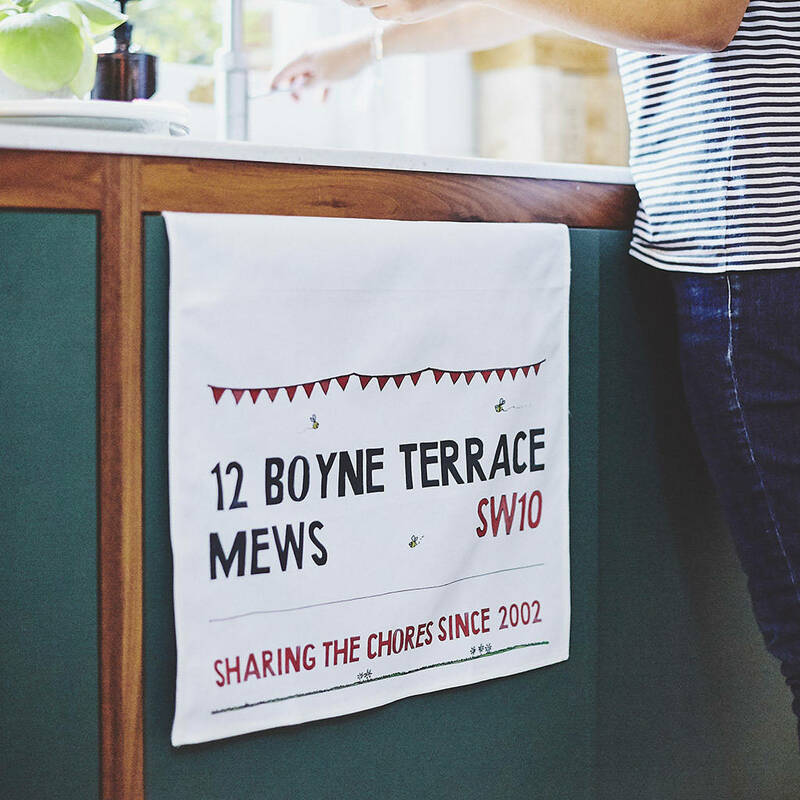 • Enter your personalised text for the top of your tea-towel (eg. Street Name). This will appear in larger black text. • Please choose to receive a proof if you are unsure you entered information correctly. If you choose not to receive one, you are responsible for any errors made. • That's it - leave the rest to us. Why not have a look at our matching products, including mugs, chopping boards and coasters. 100% cotton. Wash at 40º. Iron on medium heat. DO NOT USE STAIN REMOVING PRODUCTS.